Tonight I finally finished my first set of 15mm vehicles. These go with my 15mm infantry that I completed previously. These are all GZG wheeled vehicles. 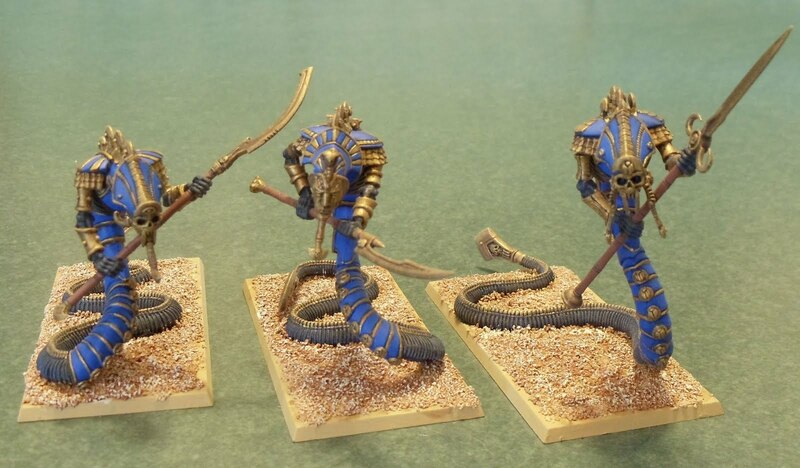 And I also finished a trio of GW Sepulchral Stalkers. I think these are probably the best paint job I've done on any of the Tomb King stuff. I rather enjoyed painting them. I made these into the Stalkers instead of going the Necropolis Knights as frankly, I think the Knights look ridiculous. Next up is maybe some 15mm terrain and I've also got a Necrosphinx sitting primed. Nice vehicles! I love the wheeled APC look.